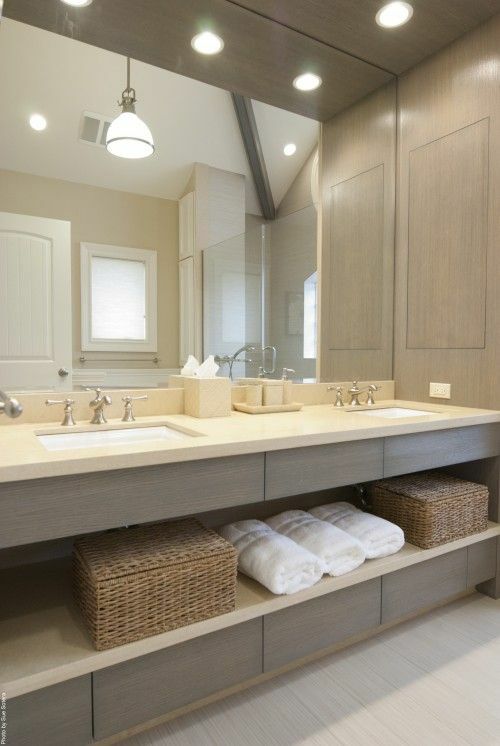 One of the most read articles here on DigThisDesign is called “Storage Solutions for a Small Bathroom“. That makes total sense – having a small bathroom can pose a big design problem in both function and style. Getting the storage you need, maintaining a good “work flow” and making it all look great can be hard! So, we found some great ideas – inspired by bathrooms of all sizes – that you can incorporate into your small bathroom. 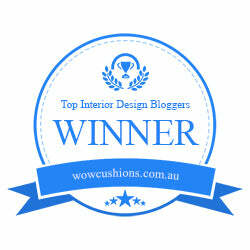 We see a lot of shelves floating over the “throne”, but we thought that this design idea was truly inspiring. 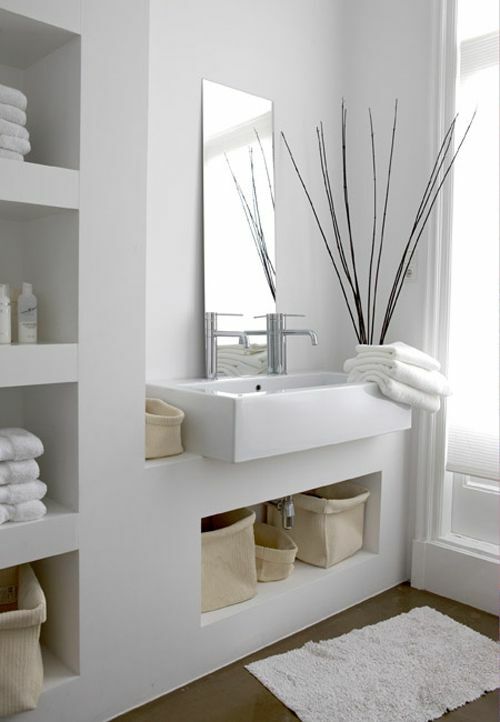 Floating drawers over the toilet gives you extra storage for things that you don’t want cluttering up an open shelf. With space between the drawers, you can still use the tops as shelves for vases, towels or pretty product bottles. This bathroom also has a great space-maximizing idea with the counter and shallow cabinets that line the wall all the way to the door. With just a 6-10 inch width, you can install a skinny cabinet to hold hair, body and medical products – like a large medicine cabinet on the floor. Carry a custom countertop down the length of the wall to give you a few more inches of storage and prep space. Though this picture shows a larger bathroom, the space around the sink is similar to many small bathrooms. Instead of surrounding the sink in cabinets, they created open storage around and under the sink. Using baskets, the personal and cluttering items can be hidden away. We’re so used to seeing cabinets under sinks. But, as this hotel-inspired example shows, that space can be well-organized using a combination of open shelves and drawers. If you have some floor space in your bathroom, you can use a free standing piece like this Seabrook Linen Cabinet. Available in several finishes, colors and door options, it can be customized to fit your space.